Anandiben Patel had stepped down as Gujarat's chief minister in August 2016 citing overage reasons. During the 2017 state assembly elections, she had refused to contest, and it was believed the BJP would assign her a larger role in politics. Gujarat BJP spokesperson Bharat Pandya congratulated Anandiben on Twitter. Gandhinagar: Gujarat's first woman Chief Minister Anandiben Patel has been appointed as Governor of Madhya Pradesh, government sources have confirmed. 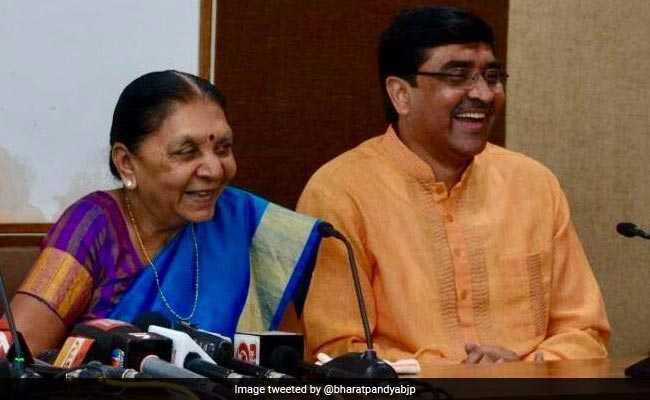 Gujarat BJP spokesperson Bharat Pandya congratulated the former Chief Minister on her appointment as Governor on his official Twitter account on Friday. The post of Madhya Pradesh Governor was vacant and Gujarat Governor O.P. Kohli was assigned the charge till now. Madhya Pradesh will see state assembly elections this year and Ms Patel might have been assigned the role by the saffron party high command, keeping the forthcoming polls in mind.